Canadians are no strangers to disasters. Both natural and accidental. Fire. Flood. Wind. When your life has been turned up-side-down by a catastrophe, you can count on WINMAR®. For over 40 years we've been serving London, Middlesex County, Oxford County & Elgin County. From a flooded storage room to a community ravished by a natural disaster, WINMAR® Comes Through For You. 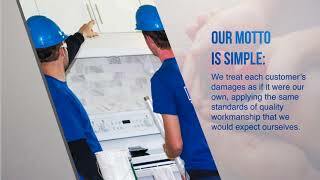 We’re more than emergency repairs. Think of us for renovations, new builds, cleaning + more! WINMAR® is a full service contractor ready to tackle any project that comes our way. Get a quote on your next project today. WINMAR® proudly serves residential and commercial owners. When you need a full range of services for natural and accidental situations, count on WINMAR®’s professionalism, integrity, efficiency, and competitive pricing. I would like to comment on the service I received from your company in the recent flooding issue. Too often we hear the bad and not the good. This is my first experience with an issue like this and the service I received from your Company, orchestrated I believe to a large part by Anthony, made it as positive as it could be given the situation. Your staff was punctual, professional, accommodating and mannerly. I want to thank you and your crew for a fantastic job in my home after the recent flood. My daughter was alone when the water was discovered in the basement. She needed a comforting and understanding approach which was to her, as important as the clean up. You get high marks for both. I just wanted to express from all of us our sincere and heartfelt appreciation for your incredible support of our restoration project. The wonderful woman on the phone, who was so warm and welcoming and took a moment to listen to our plight and was kind enough, to at least run it up to the next person in charge, we thank you. The combination of professionalism combined with community spirit is not always easy to find. To all the crew who assisted, you were professional, patient and stellar every visit, thanks so much. Your contribution will help those children ultimately is so greatly appreciated. WINMAR® London, I never thought in a million years living in a higher use condo I would be affected by a flood. I can recall standing in my living room not knowing what in the world to do. WINMAR® came in and just took care of absolutely everything! I truly couldn't believe what was happening. You and your staff have been so incredibly professional and I'm grateful I picked up the phone and called WINMAR® first and remained with your company until the very end. Thank you for doing your job so well and for constant communication throughout the entire process. I am so happy to be home. Great service. Fast cleanup of our vandalized and fire damaged storage container at and cleaned up the air in our offices after roof repairs. I highly recommend! I just had an amazing experience with the Winmar team. My family home experienced a terrible flood and their team went above and beyond to make sure everything was efficiently taken care of. The quality of work was top notch and the team was really friendly and professional - would highly recommend to anyone in the area!! They left my house cleaner than when they came. This WINMAR® franchise is independently owned and operated. 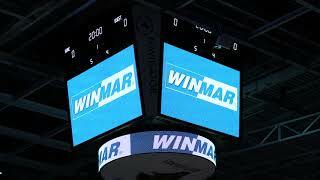 WINMAR® is a registered trademark owned by WINMAR® International Inc. and is used under license.